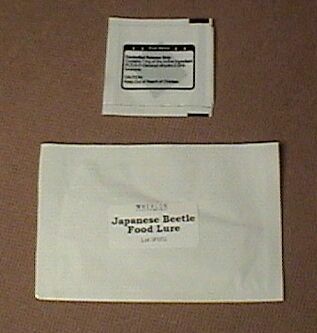 PRODUCT DESCRIPTION: This is the pheromone that actually attracts the female and the male Japanese Beetle to the traps. 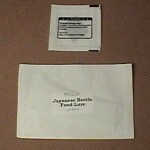 Japanese Beetle Lure can also be used with any other brands of Japanese Beetle Traps. Under ordinary weather conditions the lure should be effective for about 12 weeks.